The end of the mining boom still feels like a bad hangover. And waking up bleary-eyed the next morning, Perth seems sluggish and irritable, reminiscing glumly over black coffee about last night’s shenanigans. At its peak in 2012, Perth was rushing along helter-skelter at 3.3 per cent annual population growth. Today it’s back down to 1 percent. 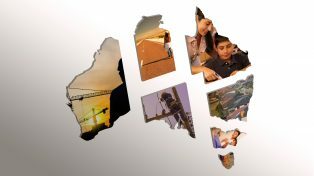 Some politicians pine for the past, and look enviously at the burgeoning populations of Sydney, Melbourne and south-east Queensland. And it’s true, those regions have outpaced Perth in recent years. But does Perth really need to jump back on the growth bandwagon, and is it ready for what that might entail? With Melbourne and Sydney racing ahead at around 2 per cent growth per year since 2011, it might seem like Perth is getting left behind. But the city’s current growth is not unusual compared to other cities in the developed world – in fact, it’s on par with the average American or British city. This level of growth is normal – it’s Sydney and Melbourne that are the outliers now. Slow and steady growth has its benefits: by making smart decisions now, Perth can be better prepared for future expansion. Growth can be good for a city. New people bring fresh ideas, add to the tax base and expand our culinary horizons. The boom might be over, but nearly 12,000 net new migrants called Perth home in last year. And why wouldn’t they? It’s got a lot going for it: beauty, convenience, jobs. The vibe. But there are also forces that push people apart: congestion, crowding and competition. Rent in particular is higher in the city. A growing population means more competition: for homes, jobs, schools. Even for seats on the bus, or space in the intersection. With four out of every five people driving to work, congestion is one of the biggest downsides of city living. But Grattan Institute research shows that most Perth residents still get to work within 24 minutes. This is slightly higher than a decade ago, but lower than the 30 minutes it took between 2011 and 2015 – a likely impact of the mining boom. From a congestion standpoint, Perth is an adaptive city – commutes did rise with the extremely high population growth during the boom, but the city did not grind to halt. And realistically, Perth would probably cope with higher levels of migration than we see today. But that’s not a good reason to try and relive the glory days of insanely fast growth. Despite this, many politicians are convinced that Perth’s growth will pick up. Rita Saffioti, the WA Minister for Transport, Planning and Lands, envisions 3.5 million people living here by 2050. That would mean growing at upwards of 1.7 per cent per year – for the next 32 years. That’s a very fast average rate to maintain for so long. 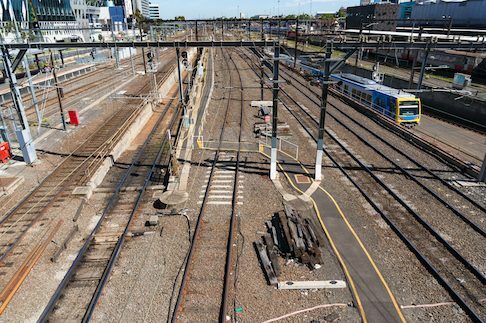 The Property Council suggests massive new infrastructure spending could unlock billions of dollars of economic activity. 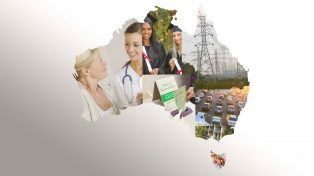 The title of its 2015 report says it all: “Keep WA Growing”. And politicians find this a very appealing reason to announce major projects – the logic is that if you build it, people will come. But there’s little evidence to suggest that building new infrastructure will attract more migrants. 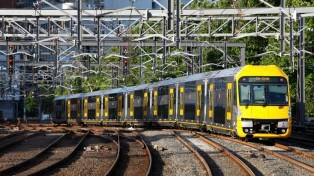 Australia’s biggest capitals have had strong population growth over the past decade, despite many of their largest transport projects still being in the pipeline. The government shouldn’t be seduced by the allure of fast growth. Instead it should be strengthening resilience in a city that has witnessed first-hand the boom-bust cycle and its impact on migration. That means investing wisely and focusing on smaller projects with strong business cases rather than splashy, big-ticket items in the hope that they might entice more settlers. In the mining boom hangover, Perth’s current population growth is not the Sunday morning headache; it’s the aspirin. Sensible growth creates space for sensible planning, which will minimise future growing pains while allowing us to enjoy the benefits that new people bring.